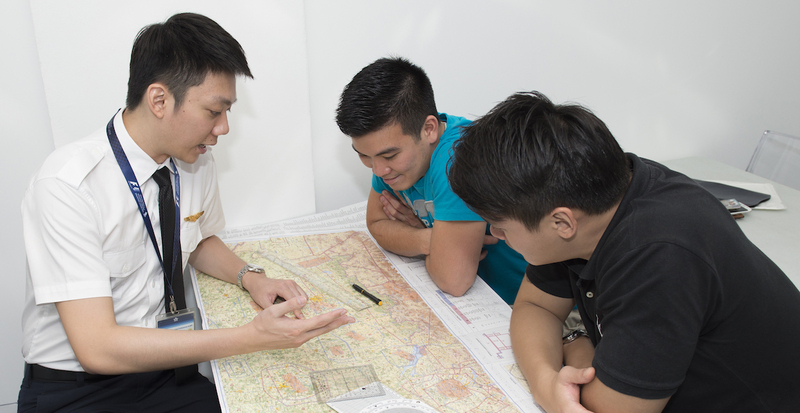 Up till two years ago, Youhao Toh harboured a dream to be a pilot. Soaring the skies and traveling round the world sure sounds like an exciting and glamorous job, but the road to becoming one sure ain’t easy. It takes more than just submitting a resumé, going for an interview, and crossing your fingers that you’ll receive a job offer. Aspiring pilots have to be medically fit, have good vision, and undergo a rigorous training programme to equip themselves with the necessary skills. And this training programme don’t come cheap if you don’t have a sponsorship. “Both Singapore Airlines (SIA) and SilkAir are the only local airlines that provide sponsorship. Aspiring pilots who aren’t able to secure a place on the limited number of airline sponsored training scheme can apply to Scoot-Tigerair and Jetstar Asia instead – but these airlines do not provide sponsorship,” said Toh. So if they land on the other end of the spectrum, they have to self-fund their own training cost and overseas living expenses which can cost up to $200,000. Toh revealed that he was a self-funded cadet himself. 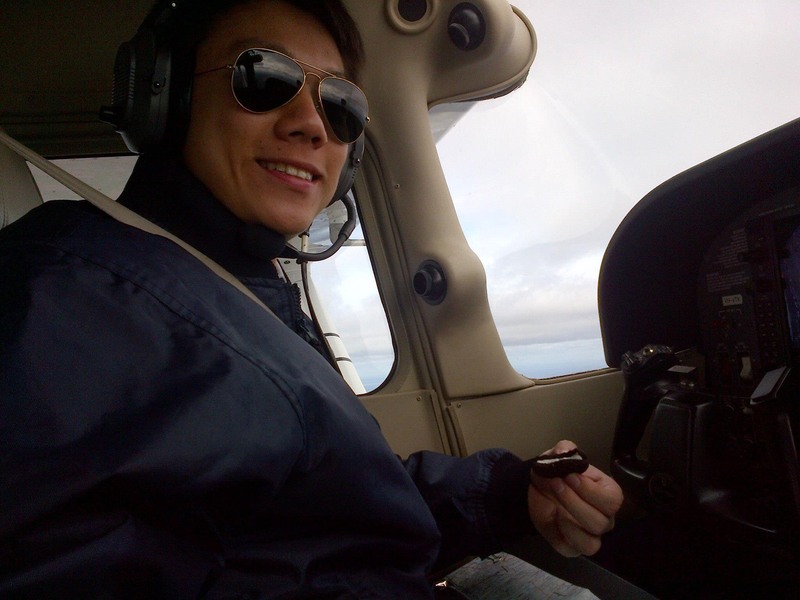 At the age of 24, he pursued the Singapore Commercial Pilot License (CPL) in hopes of achieving his dream. But he was very fortunate to have very supportive parents who were willing to fully bear his training costs on his behalf. Bearing these pain points in mind, Toh decided to start up his own pilot training school called Revion Ground School to eliminate these difficulties. Since he understands first-hand the frustration and financial burden faced by them, Toh was motivated to “offer something better, more affordable, and to contribute to this industry”. As such, Revion’s motto is to provide “affordable” training for aspiring pilots. “If they did not manage to secure an employment with an airline upon graduation, repaying the loan debt would pose as an additional concern. This will drive fewer people to take up the career,” reasoned Toh. Ultimately, he does not want the financial burden to limit aspiring pilots from pursuing their dreams. 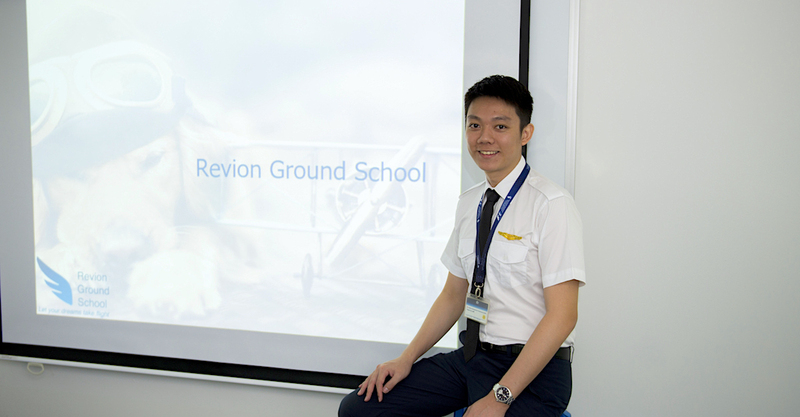 Toh founded Revion Ground School, the first-ever part-time pilot training school in Singapore last year, when he was only 29. The school offers distance learning pilot training courses as well as foreign pilot conversion courses. So how exactly does he work his way around on lowering the training costs? He added that his business mantra is to focus on maximising training quality rather than maximising profit. Despite the lower training costs, Toh described his profit growth as “sustainable”. He invested a four-figure sum to kickstart the business, but broke even within just the first year. Currently, Revion is collaborating with a world-renowned training organisation in New Zealand – which is approved by the Civil Aviation Authority of Singapore (CAAS) – so students can tap on the extensive resources available, quality flight training, and the vast experience of these flight instructors. The school basically prepares trainees for the official CAAS examinations. After passing all 14 examination papers, they will then head over to CTC Aviation in Hamilton, New Zealand, to further their flight training. One main business challenge Toh faced is overcoming the general perception that the training organisations that are owned by SIA and ST Aerospace are “the best” and the misperception that graduating from any of these training organisations would stand a higher chance of securing an employment with an airline. “The branding itself is a huge disadvantage for me,” he lamented. As such, Toh seeks to differentiate himself from the two giant players with his passionate and caring nature so as to come across as very relatable. “Many people who approached me are mostly through word of mouth and recommendations by former cadets who are airline pilots today,” he elaborated. Fighting the big guys are already tough, and Toh feels that a little external help can do good because there’s currently a “lack of government support” for aspiring pilots. In turn, this rejection makes him more determined to keep exploring and discovering new possibilities to further reduce the training cost to aid aspiring pilots. He added that local airlines should also review the educational qualification requirements. Currently, an ab initio cadet pilot programme and direct entry programme require a minimum of polytechnic diploma or degree. In addition, one must have a minimum of five credits in the GCE ‘O’ level or its equivalent at one sitting. “I know quite a number of people who have obtained a polytechnic diploma or even a degree (in aerospace). But because they do not have credits in the GCE ‘O’ level, they did not have the opportunity to get shortlisted. So what does this convey? This is discrimination at its finest and punishes the late bloomer,” said Toh. This according to him limits the pool of talents, especially those with true passion. He also suggested that banks help by offering aspiring pilots a similar loan to that of an education loan – one with a low-interest rate. Currently, banks only offer education loans to those in local institutions and a selected few foreign ones. Toh shares that he plans to build a blended learning environment for pilot training, which will be the first-of-its-kind in Singapore. It aims to provide something that no other existing local training organisations have delivered so far, such as personalised training experiences and diversifying training methods to cater to different learning styles. It also hopes to offer round-the-clock access to training resources, enabling students to share their knowledge with one another in the online discussion forum on the Revion site. “So far, the response for Revion has been better than expected. In fact, in less than a year, it has exceeded the realistic expectation that’s been set for two years,” said Toh. He believes that it will get even better when the school’s reputation and credibility builds up over time.